According to the Macquarie Dictionary, Terra Australia Incognita was the mass of land stretching across much of the south of the world. The early cartographers felt this land had to be there to balance the globe, given the amount of land that was clearly there above the Equator. Perhaps they were worried that whatever creatures inhabited the Southern Hemisphere might, without this avoirdupois to the north, fall off into nothingness. Stallard writes (p. 86) that ‘imaginative geographies develop through maps. Throughout history maps have provided a powerful and effective medium for the expression of existing ideas …’ (See Steve Flora’s review of Mitchell and Janes’s Maps: Their Untold Stories: Map Treasures from the National Archives and Peter Stanley’s review of Where are Our Boys? How Newsmaps Won the Great War.) An early influence in cartography was the Greek geographer Ptolemy who, in the second century AD, conceived of the world as a sphere, produced maps summarising the size and shape of the known world, and encouraged speculation about the nature of the southern part of the terra incognita. Even in the 15th and 16th centuries, Ptolemy would be regarded as the father of modern geography. By that time, the form of any southern continent on world maps was being shaped by the work of both cartographers and explorers. As the story developed, there were many explorers providing clues for mapmakers. These explorers’ names would become familiar to students of high school geography and social studies: Columbus, Magellan, Drake, Vlamingh, Van Diemen and Cook. And there were many others, particularly Dutch, Portuguese and Spanish venturers, whose discoveries helped to shape the map of the world and develop the understanding of the southern continent. Regardless of Ptolemy’s stature, in the words of the author, ‘[w]hat becomes clear is that geographers, cartographers and all sorts interested in the shape of the expanding world of the late fifteenth and early sixteenth centuries were feeling their way forward with no fixed cosmography to guide their way’. 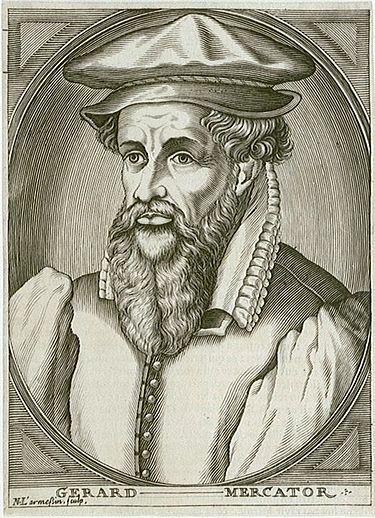 Guidance was to come from the Flemish geographer and cartographer, Gerard Mercator, born in 1512, who was to have a powerful and effective influence. Mercator’s world map of 1569 ‘went to great lengths to construct what he considered to be a reasoned, justified representation of the southern hemisphere’ (p. 87). Stallard guides the reader through Mercator’s cartographic innovations and theoretical approach. He also provides details of the European explorations of Terra Australis, explorations that were driven by differing motivations, including searching for gold and silver, spices, or native populations to pacify, enslave and convert to Christianity. Finally, Stallard takes the reader through the voyages of James Cook. Interestingly, Cook’s second antipodean voyage (1772-75) met with official approval ‘despite the almost complete lack of strategic or commercial prospects’ (p. 222). Apparently, whatever prospects had been detected from Cook’s first voyage – the one that briefly touched upon the east coast of Australia – had not yet developed a high profile – even if they had generated a file – in Whitehall. 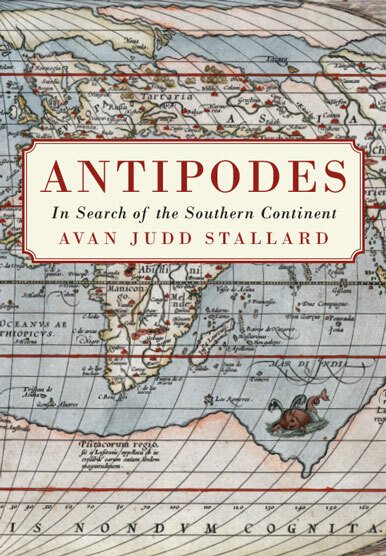 Antipodes is a well-argued and detailed work and an attractive publication by Monash University Publishing, with 43 colour maps that are logically arranged, numbered with reference to specific chapters and therefore available to support the author’s evolving thesis. In reading the book, though, it makes sense to come equipped with a contemporary atlas; for this reviewer The Times Compact Atlas of the World sufficed. Antipodes is not light reading but it is rewarding for those willing to stay the course. And that is appropriate, given the book’s subject matter. * John Myrtle is a former librarian who lives in Canberra. He produces Online Gems for Honest History, drawing upon his extensive database of references. He has also reviewed Graham Seal’s Great Australian Journeys and Stephen-Dando Collins’ biography of Paul Brickhill.